The staff at Gables Exceptional Dentistry is committed to providing excellent dental care in a comfortable environment where patients can relax and feel at ease. Here you will find information on what to expect during your first appointment along with links to patient forms and paperwork. We are happy to hear from you, answer your questions, and schedule an appointment. Call Gables Exceptional Dentistry at 305-203-4132 or stop by our office. It is easy to make an appointment for your initial examination and dental treatments. Call 305-203-4132 to speak with a staff member and you can download the New Patient Form by clicking to the right. 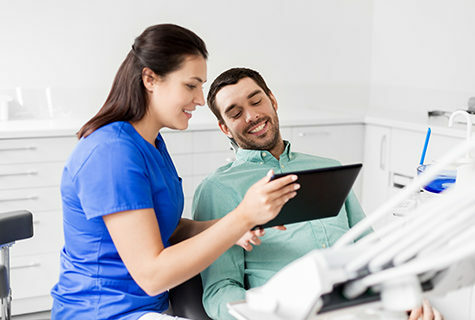 It is easy to make an appointment for your initial examination and dental treatments with Gables Exceptional Dentistry. Simply call 305-203-4132 and one of our friendly team members will be happy to assist you. when you schedule your appointment, time will be reserved exclusively for you. We are committed to being on time because we know how precious time can be, respecting and valuing all our patients. Your initial dental exam will take around one hour. 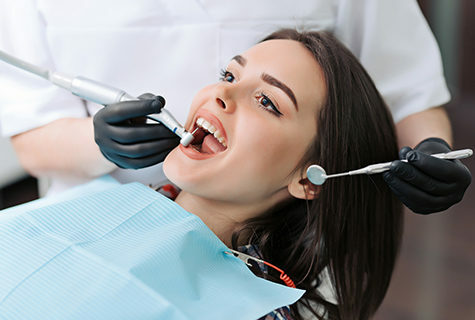 The expert staff at Gables Exceptional Dentistry will ask you questions, get to know your oral hygiene routine, and listen to your health concerns. 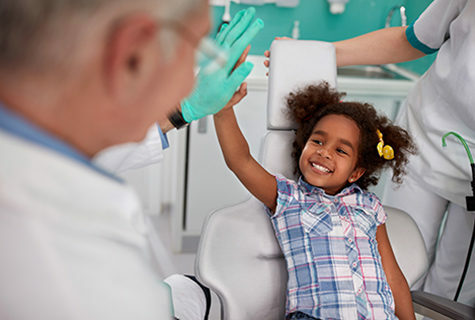 We believe in educating patients and empowering them to make good choices to improve their oral health. We will demonstrate how to properly care for your teeth and make additional suggestions as needed. Our dental hygienist will clean your teeth then Dr. Mirtha Amador will complete your examination and make recommendations for proposed dental treatments. We work to ensure our patients feel comfortable, and that includes minimizing their pain as much as possible. If you are undergoing a dental procedure, Dr. Mirtha Amador will meet with you to discuss your pain tolerance and create a plan for pain management. Working together, we will treat your dental health problems in a way that minimizes pain and enables you to get back to your life faster. We will gladly file insurance claims on your behalf through our electronic system and help you obtain detailed explanations and maximum benefits from your insurance carrier. 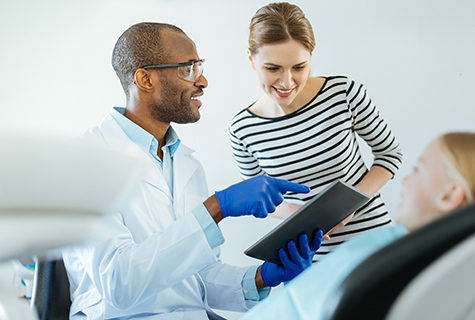 Our office is dedicated to offering and providing you with the highest standard of care, regardless of insurance limitations because we believe everyone deserves exceptional dentistry. Our pricing structure is designed to ensure that patients are able to receive and afford the high-quality dental care they deserve. If your dental insurance will not cover all of your dental treatments, we will work with you to identify other payment solutions. We are health care professionals first and are here for you. We understand that every dental patient has different financial needs. We will work with you to find a solution that enables you to get the dental care you need, with or without insurance. Call our office to ask about our different payment options that may include cash, check, financing, and credit cards. 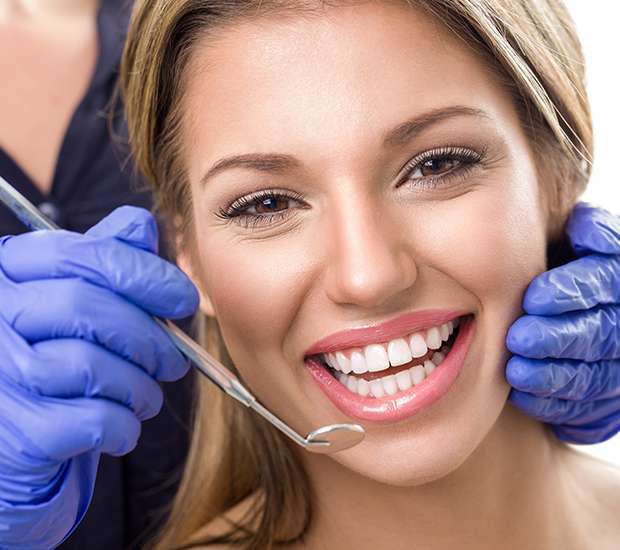 We provide budget friendly dental care so call today and learn how Gables Exceptional Dentistry is the solution to all of your oral health needs.